Can't find what you are looking for? 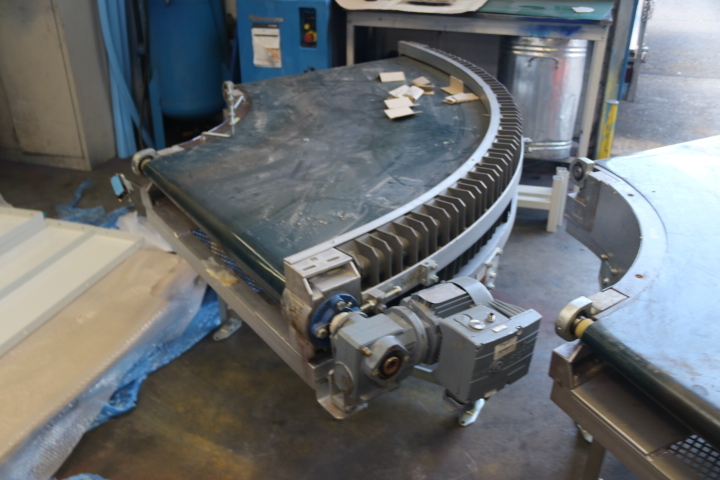 View our Newly Manufactured Gravity Conveyors! 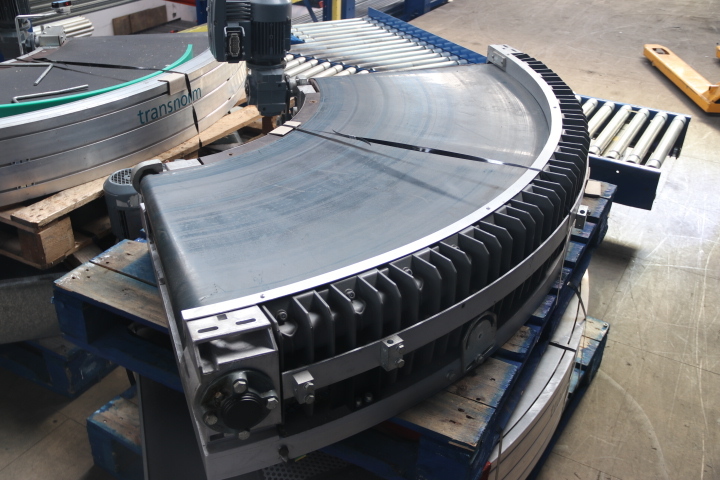 If you are unsure about any information or requirements for our used curved conveyors, please feel free to contact one of our sales representatives for more information. 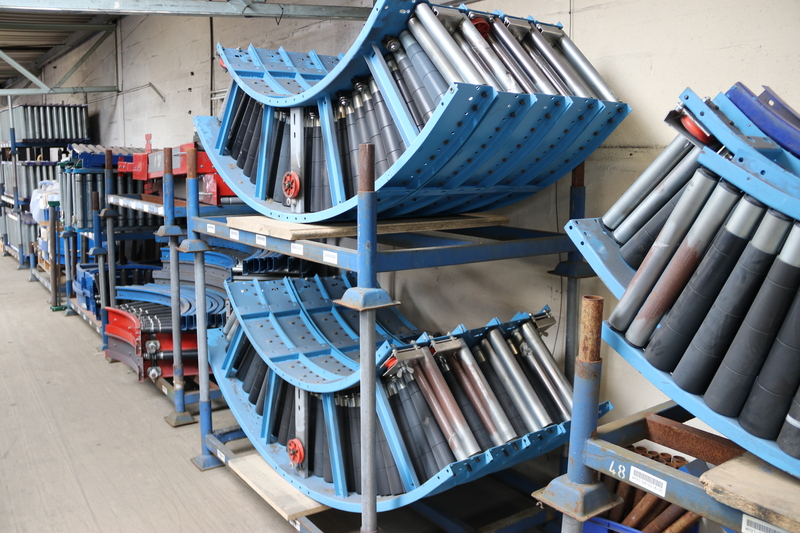 Prices* quoted are ‘conveyor only’, in some instances used conveyors will be quoted with basic electrical controls, which were previously supplied with the conveyor bend from the original manufacturer. 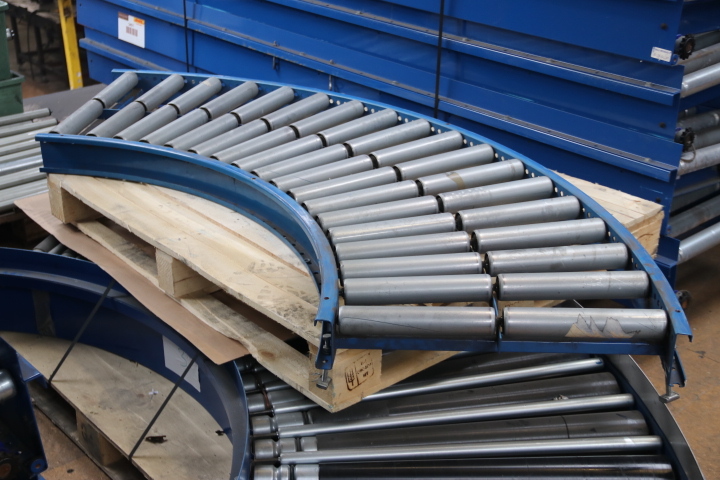 We can re-quote any used conveyor curve to the required specification, with regards to electrical controls and additional fabrication to included refurbished 90-degree conveyors where required, additional corner conveyor support frames and product guarding to suit the application. Delivery is not included in the cost, but a cost estimate can be provided based on your companies postal area. Installation may be required on a specific unit, a cost estimate can also be required for this service.